I’m Mike Gerber and I’ve been a gym rat for the past 30 years. When the restaurant I had managed closed in 2005, I decided to turn my past time into my livelihood. I got my personal training certification through ACE and have since taken several workshop classes focusing on special needs clients. I am also trained and certified in SilverSneakers and spin instruction. I am currently studying to take the NSCA certification exam, as well as taking classes to become trained in Schiatsu massage; a non-invasive, accu-pressure massage mode. I specialize in exercise for chronic disabilities, including osteoporosis, knee and hip replacements, lower back problems, shoulder conditions, diabetes, obesity, auto-immune diseases, cardio rehab, neuromuscular disease and stroke. I have also taken special classes geared toward core training for hard abs, balance, and exercise for older people. I love being a part of this great club and the team that keeps it going. To contact Mike, email him at skerry2002@yahoo.com, or phone 814-441-4970. Hi, my name is Kendra and I am a new personal trainer at the North Club. I am a 2018 graduate from Penn State with a B.S. in Biobehavioral Health and a minor in Kinesiology. I am currently pursuing my personal training certification through ACSM. Throughout my childhood and teenage years I lived a sedentary lifestyle and was extremely unhealthy. I struggled to maintain a positive body image. It wasn't until I started college that I realized the importance of maintaining an active lifestyle and fueling my body with the proper nutrition. Since then I have lost weight, am in the best shape of my life, and have learned to love my body throughout all stages of my fitness journey. I have grown a huge passion for health and well-being and I am eager to help others achieve their fitness goals and become a better version of themselves. Set up a consultation with me and let me help you achieve your goals. Let's make exercise fun! To contact Kendra, email her at housekendra5@gmail.com or call her at 717-250-9808. Rachel is a 2006 graduate of Bloomsburg University of Pennsylvania with a Bachelors Degree in Exercise Science. She’s been personal training and teaching group fitness classes since 2006, beginning at the Wilkes Barre YMCA and the State College YMCA. She has had lots of steady experience and has seen major results with her Body by Rachel clientele through personal training, Juice Plus+ nutrition and the Shred10 program. 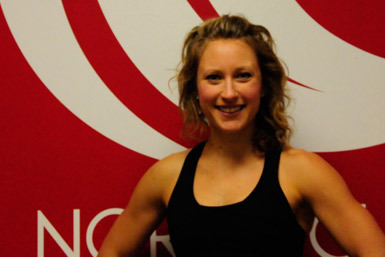 Rachel specializes in healthy weight/fat loss, toning, strength building and flexibility. Travis is a Certified Personal Trainer & Fitness Nutrition Specialist through the National Academy of Sports Medicine. Through continuing education he plans on obtaining his Corrective Exercise Specialist and Performance Enhancement Specialist certifications as well. Travis works with clients of all ages, both male and female. He has had many success stories and has a very strong background with weight loss, strength training, and nutrition. Along with training clients for weight loss, general fitness, sports, and a healthier lifestyle he also coaches athletes who are interested in competing in bodybuilding/figure/physique/bikini. Travis is also a Professional Natural Bodybuilder and finished 3rd in his Pro Debut. You can reach me at travis@strubletrainingconcepts.com or call 704-402-8997. Charles studied Kinesiology right over at Penn State University. He has taken course work in various subdisciplines of Exercise Science such as Functional Anatomy, Biomechanics, and Physiology. Additionally, he completed an internship where he was able to gain beneficial experience working with high school athletes. In Charles’s free time, he loves to work out right here at the North Club where he focuses on training techniques for improving muscle hypertrophy, muscle endurance, strength, balance, and stability. To schedule a consultation/assessment you can contact Charles by email: charlesmoresi@gmail.com or by phone: 267-678-9393.